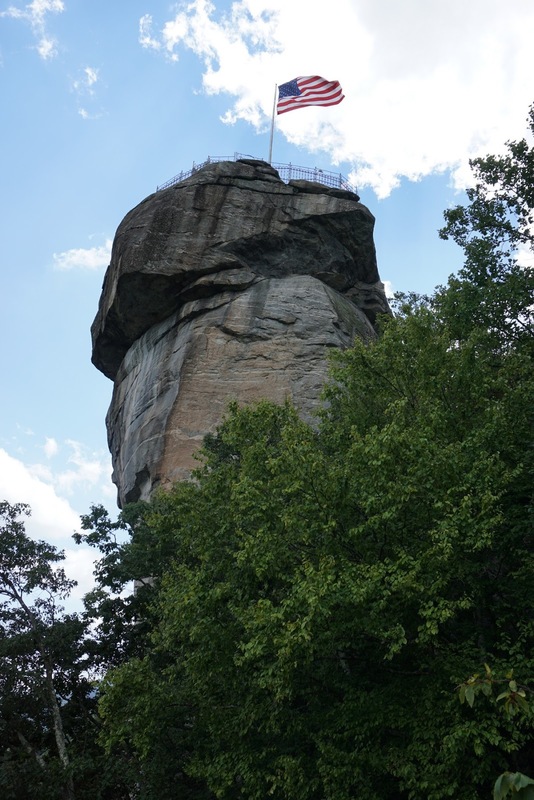 Chimney Rock is a well-known granite rock formation in North Carolina, and is now a state park. 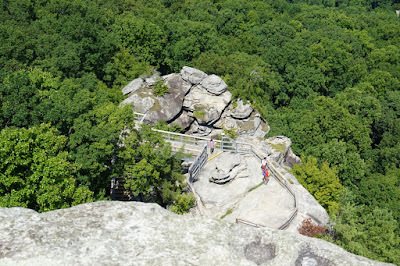 The area contains a step boardwalk climbing the mountain to Chimney Rock, with many interesting sites and views along the way. 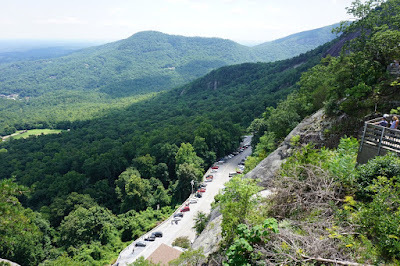 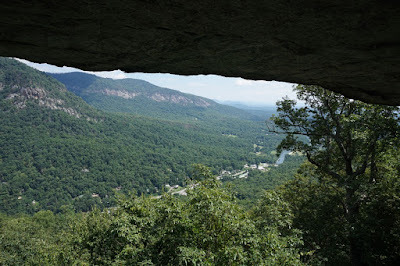 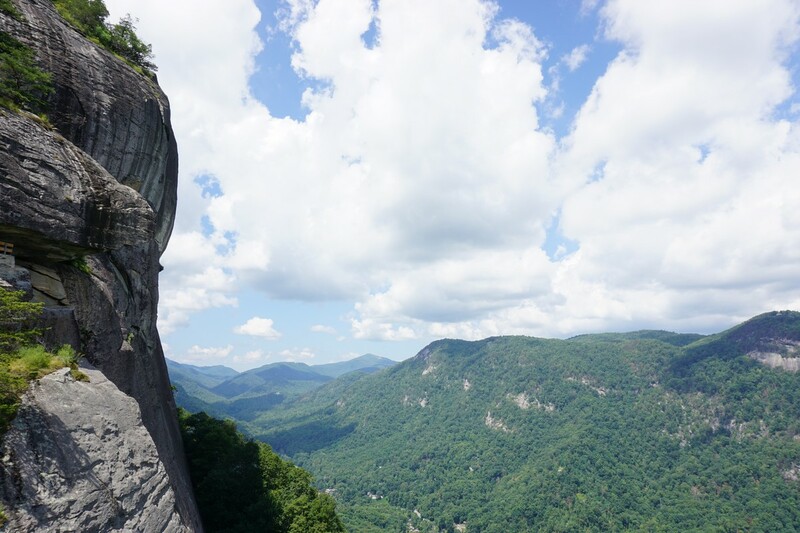 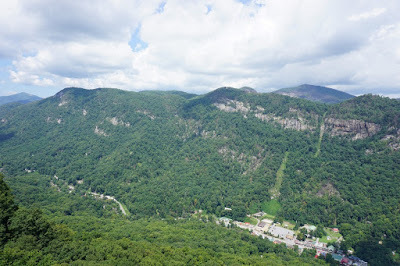 I had gone camping with my family to the North Carolina mountains, and went to Chimney Rock as a day trip. 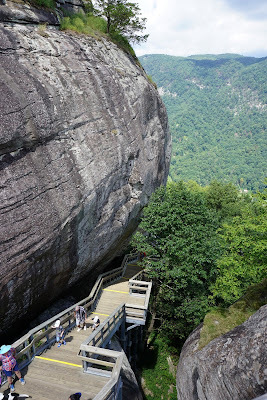 I was surprised at the cost of the entrance fee, and was also disapointed that the elevator up the mountain was broken. 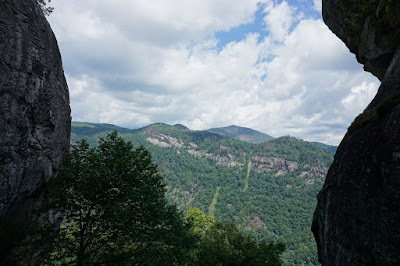 I had planning on taking the elevator up and then doing the full Exclamation Point Trail from that point and going down the rest of the way along the Outcroppings Trail. 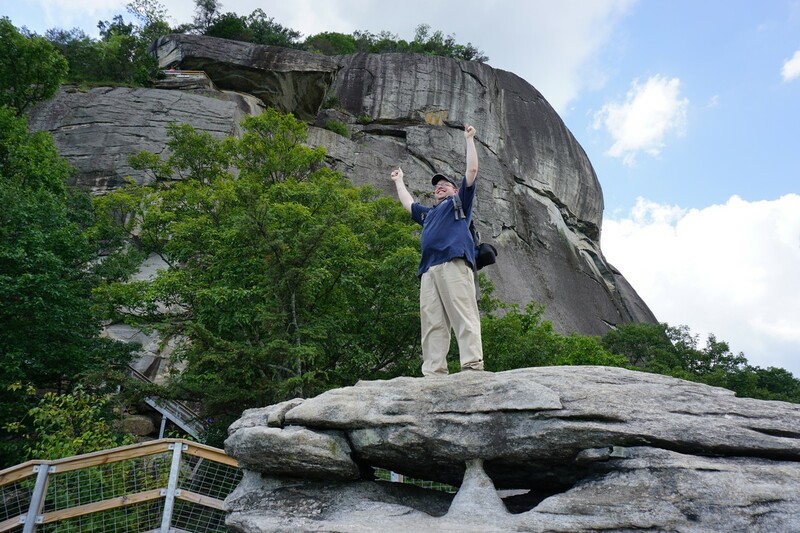 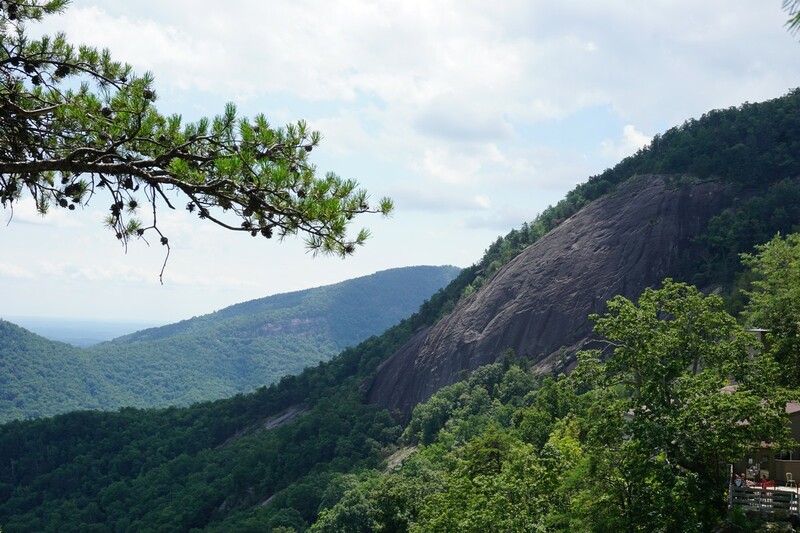 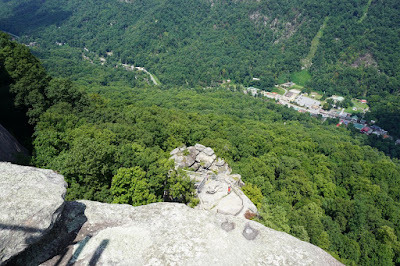 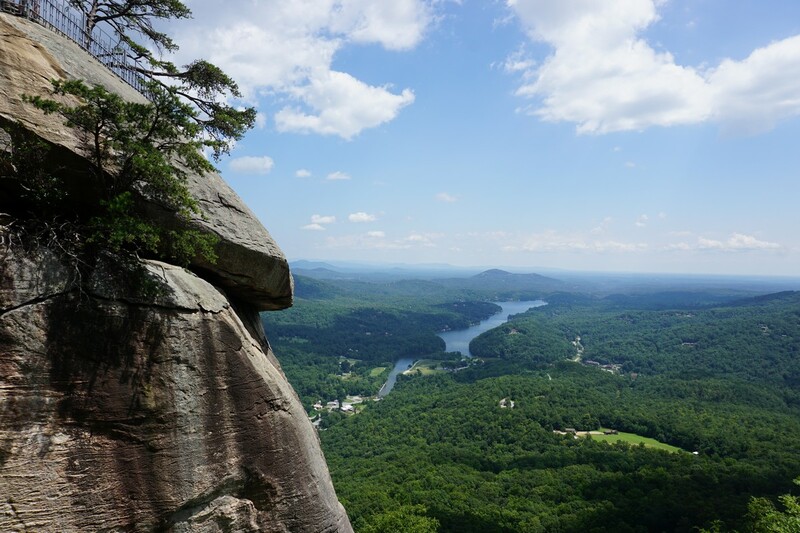 Instead, we all took the Outcroppings Trail up to Chimney Rock, going along the Subway formation by the split on the way up, and the Pulpit Rock split on the way down. 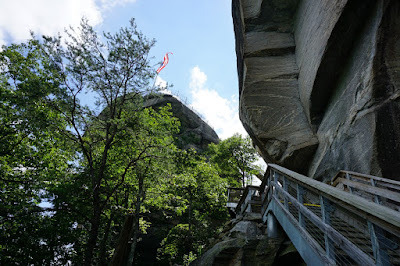 Overall the trail system here is very unique, with the way up entirely on steps on a boardwalk. 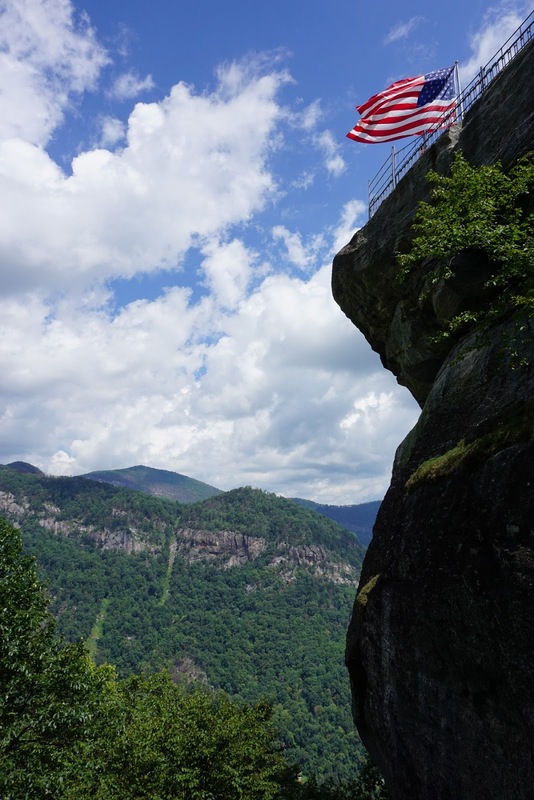 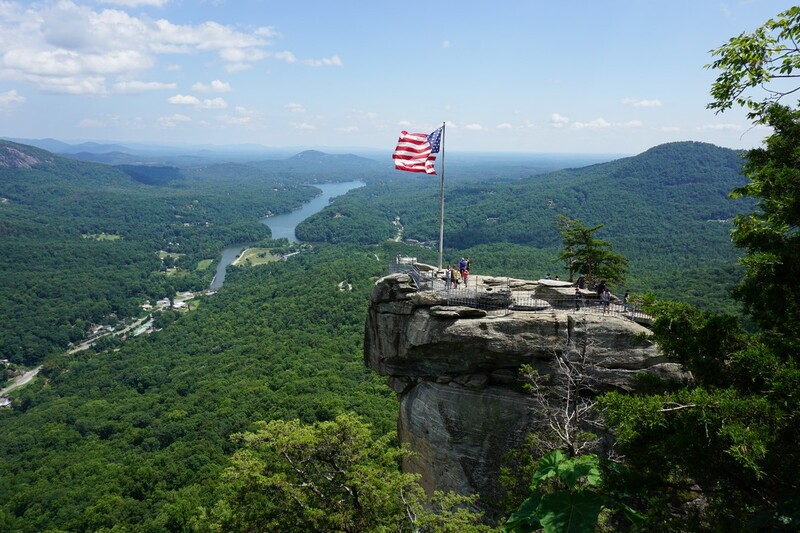 The top at Chimney Rock features a large American flag and has excellent views. 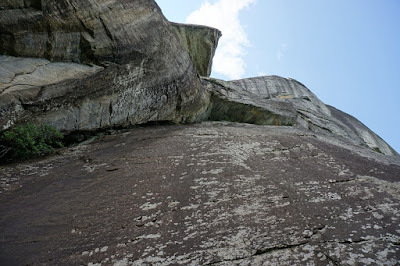 We then climbed the Exclamation Point for a short distance to the Opera Box, a rock formation within the granite outcroppings. We returned back on the Outcroppings Trail. 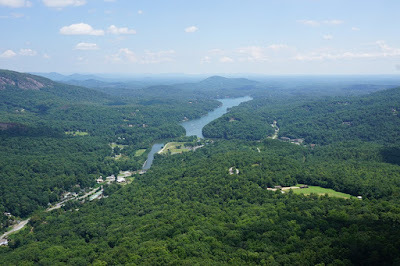 Lake Lure from Chimney Rock. Facing East.